No matter where you go in Japan, it’s easy to see that temples and shrines are an important part of the nation’s culture. There are over 80,000 temples and shrines in Japan – some are famous for granting students academic success, while others are visited by those hoping to pray for good health or family bonds. Some of these historic buildings are thousands of years old, and are respected by locals for their beauty, symbolism, and power to grant wishes. 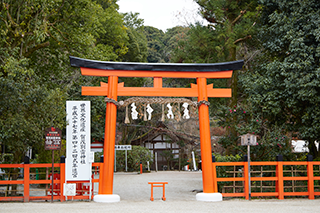 Shrines serving the Shinto tradition have a torii gate entrance, while temples serving Buddhism have a sanmon gate entrance. 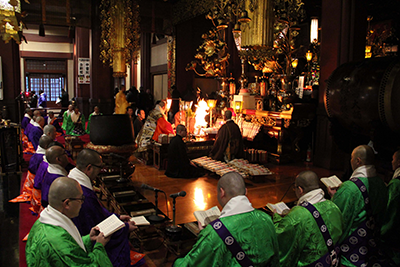 Although the rituals for visiting both are similar, you generally pray in silence at a Buddhist temple (ie. no clapping). 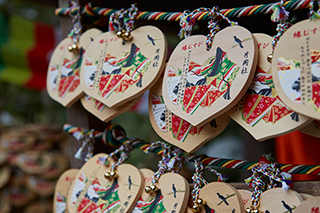 People come to temples and shrines not only to pray, but also to draw an omikuji (paper fortunes), write their wishes on an ema (wooden plaque) and also purchase protective amulets called omamori. Everybody are welcome at these places of worship regardless of their religion. At every temple and shrine in Japan, you will find a shop that sells a number of colourful trinkets called omamori (protective amulets). Costing anywhere from 300-1,500 yen each, these usually come in the form of woven tags with the name of the temple on one side, with the other side representing different types of protection. These usually include Success (勝守 katsumori), Warding Off Evil (厄除け yakuyoke), Money (商売繁盛 shoubaihanjou), Education & Learning (学業成就 gakugyou jouju), Traffic Safety (交通安全 koutsu anzen), Family Safety (家内安全 kanai anzen), and Happiness (幸せ shiawase). As these amulets gain their power from written words sealed in paper or wood inside these woven tags, they should never be opened, or they will lose their power. 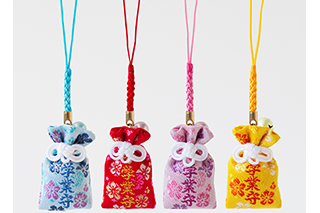 An omamori is normally worn on the person – most people hang them on bags, while students usually carry theirs in pencil cases. The potency of an omamori is said to be about one year, so locals often return them to the temple they were bought at to get a new one. Even though many temples carry generic charms, some charms are characteristic to a particular shrine or temple because of what they represent. 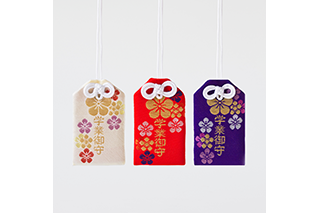 As such, omamori make great souvenirs – not just as a beautiful piece of Japanese culture, but also as an expression of your wishes. 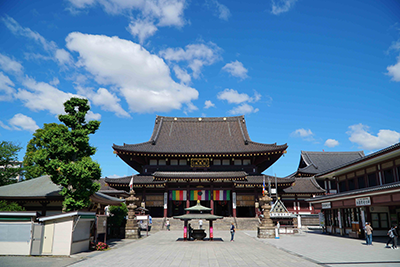 Below are a number of temples that are popular for families, where people often come to pray for success, longevity, or good luck. 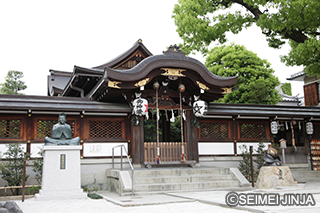 Located in Kyoto, Seimei Shrinewas established in 1007 and dedicated to an Onmyoji (Japanese shaman) called Abe no Seimei who was a bureaucrat of the Heian period. 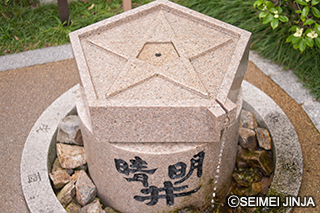 Walking around the shrine, you will see plenty of gobosei, or pentagrams (which resemble stars) that are associated with Seimei, symbolising the five Chinese elements of wood, fire, earth, metal and water. The Shrine may be small, but it’s famous among Japanese worshippers who come here to ward off evil and misfortunes. This is because Seimei was also a practitioner of onmyodo–the art of yin and yang. 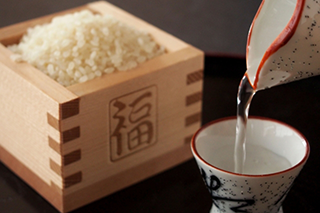 It is said that if you pray to Seimei, you can be protected from various diseases. 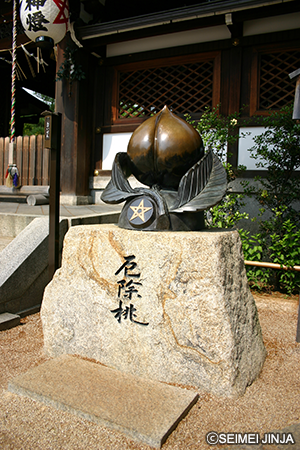 In front of the main shrine stands a shiny peach sculpture – people come here to rub it in order to ward off misfortune. There is also a well which is said to bestow good luck to those who drink from it. Many worshippers also come here to get lucky charms, which are popular for their unique designs featuring the pentagram star. 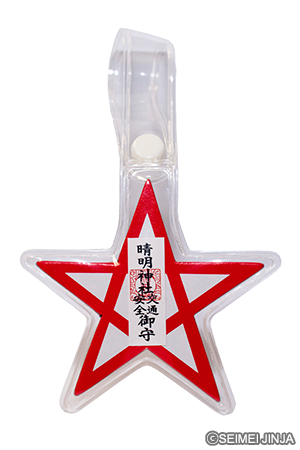 A variety of charms are available (from 600 yen each), including a black one for warding off evil called yakuyoke (厄除). Access: From JR Kyoto Station, take the Karasuma Subway Line to Imadegawa Station. The shrine is about 12 - 14 minutes’ walk from the station. 903AD), a divine figure associated with literature and education. As such, the temple is popular among students wishing for academic success. After passing through the Torii gate entrance, you will come across a pond with a bridge divided into three parts, representing the past, present, and future. 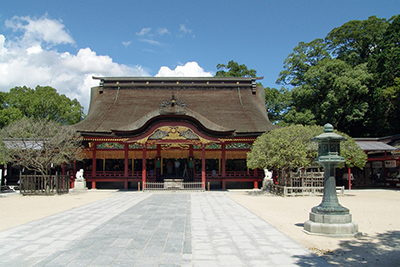 The shrine’s main hall (honden) is built in the flamboyant Momoyama-style, painted in gold and red. 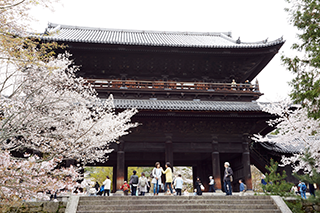 There are about 6,000 plum trees around the temple which bloom from February to March – look out for the legendary tobiumi (flying plum tree), which according to legend, actually flew from Kyoto to Dazaifu to accompany Michizane here. For students seeking academic success, there are several ways to do so. 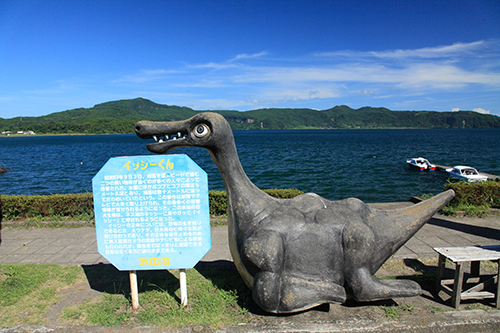 One is to find a statue of goshingyu, or sacred ox, which is associated with the legend of Michizane. It is believed that one can become smarter by patting the statue on the head! The most popular way to pray for passing exams is to write your wishes on a wooden plaque called ema (which is available at the temple shop). Plenty of plaques are hung around the temple grounds by students from all over Japan. 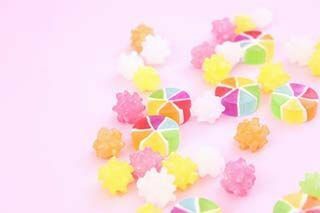 You can also get a lucky charm for academic success called gakugyō (学業) – these are often carried by students inside a pencil case or hung on school bags. Located in Saku City in Nagano, the statue of Pinkoro Jizo sits at the entrance to Naritasan Fudo Myo-o Temple. A Jizo is often respected in Buddhism as the protector of travellers and children, but Pinkoro is a little different. Erected in 2003, Pinkoro Jizo has been a pilgrimage site for those wishing for health and longevity, and unlike other Jizo statues in Japan, it also has its own offering box (saisen-bako). 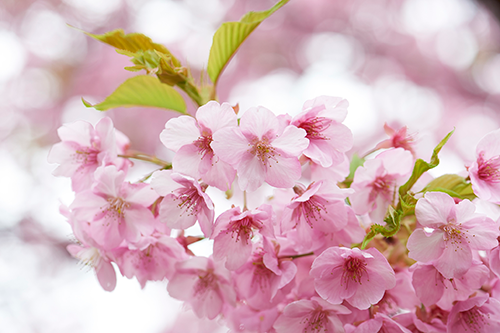 Standing at about 1m tall, this cheerful-looking character is associated with the ‘pinkoro’ movement in Nagano. 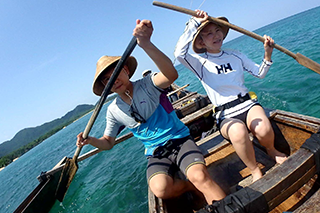 ‘Pinkoro’ – which sounds like a play on ‘pink of health’ – is a project promoting health that was launched back in the 90s to tackle diet issues among the locals. 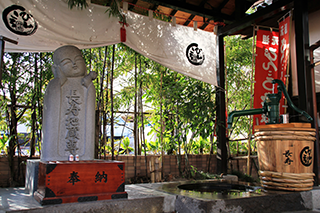 The hope across the region was to inspire healthy living, so the deity called Pinkoro Jizo was created, to which people prayed for good health and longevity. 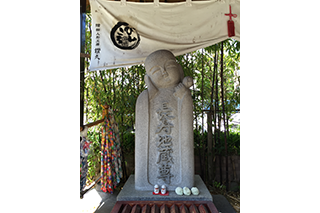 The Pinkoro Jizo is now a popular spot where over 100,000 people from all over the world come each year to pray to this smiling stone statue. 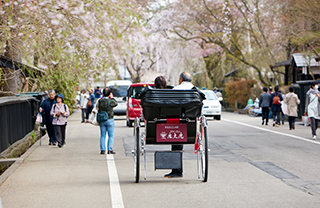 Today, Nagano has one of the highest life expectancies per capita, and the ‘pinkoro’ movement may be the driving force. 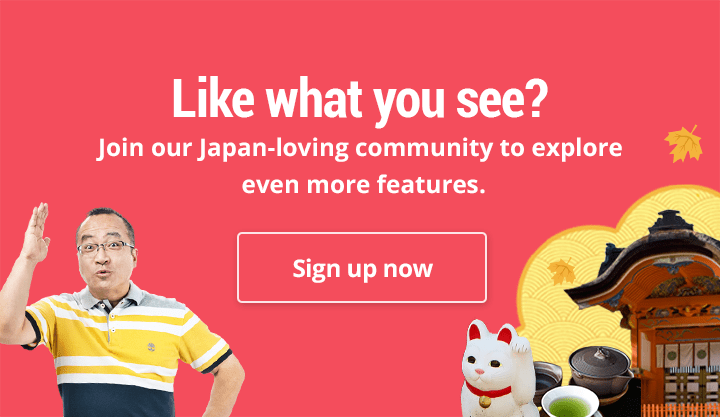 Pinkoro is so popular that there are many souvenirs dedicated to this deity – you can see his tilted head printed on everything from snacks to mugs and even sake bottles. 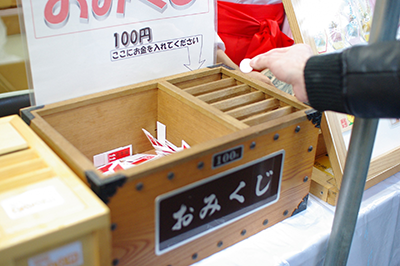 Perhaps one of the most popular souvenirs is a simple omamori charm. The Kawasaki Daishi Heikenji Temple is a large complex containing numerous buildings. 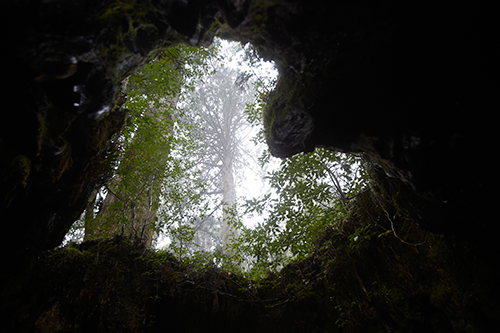 Also known as “Yakuyoke No Odaishi-sama”, the temple is well known for its power of yakuyoke (warding off evil) as it worships Kobo Daishi – the father of Japanese Shingon Buddhism. The temple compound is home to a unique five-layered pagoda (Hakkaku Gojunoto) and Daihondo, the main prayer hall, which contains a statue of Kobo Daishi as well as the beautiful Sutra Hall which contains over 1,700 hand-printed Buddhist sutras. 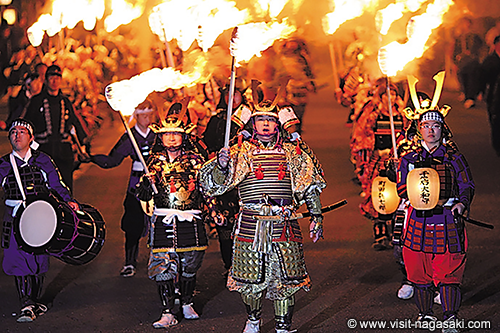 You can visit Daihondo to witness the daily gomakitou purification rituals, where a sacred fire is burned to destroy negative or harmful energies. 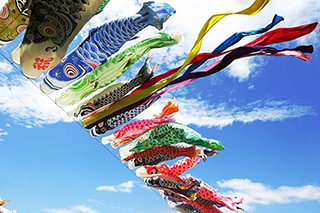 People who have reached yakudoshi – superstitious unlucky ages in Japan (men: 25, 42, 60; women:19, 33, 60) – also visit Daihondo to receive prayers to get rid of bad luck. Another important building is the Yakushiden, built in an Indian architectural style, which houses the statue of a Buddha that cures illness – apparently, touching it will take away your illness. People also come here to receive blessings for traffic safety, not only for drivers and passengers, but also for vehicles. You can see cars parked outside the temple for this purpose. 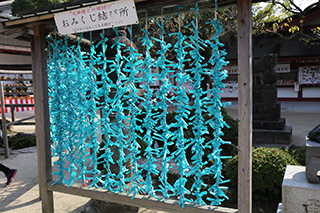 The most popular lucky charms from this temple are the yakuyoke (厄除) for warding off evil, and koutsu anzen (交通安全) for traffic safety. For extra luck, you can get a daruma doll, a colourful figure believed to help wishes come true, from one of the many souvenir shops lining the street from Kawasaki Daishi Station to the temple.